It’s really far from what it sounds. 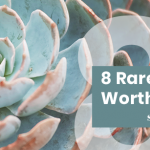 This post isn’t about some sort of capital punishment for succulents. Sure, it does sound gruesome and cruel, but nothing could be further from the truth. Beheading succulents isn’t as bad as you think! You’ve probably heard of Mike who lived for a whopping 18 months without a head! Apparently, Mike was a chicken, so named by his owners after he became popular in the 1940’s for refusing to die. However, with succulent plants, beheading is a practice for rejuvenation and life continuity. 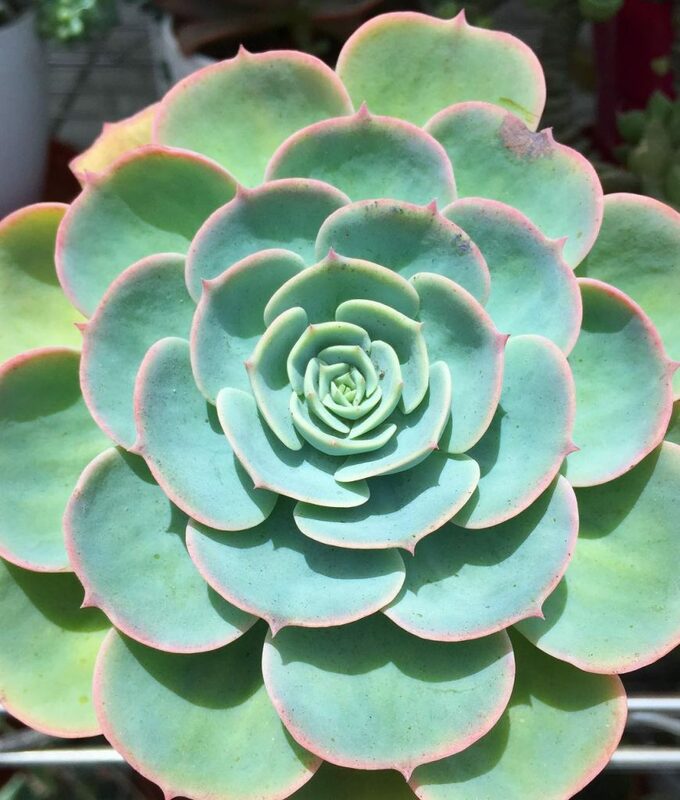 What’s not to like about a healthy long living succulent baby? Sometimes you have to be cruel to be kind. Succulents are mainly grown as indoor ornaments to add charm and beauty to the home. When these beautiful succulent plants overgrow, become elongated due to insufficient light or even get infested by pests, then it’s time to bring in the guillotine. In a nutshell, succulent beheading is chopping off the terminal head of a succulent. This results in a stem stump and the chopped terminal mother plant, both of which are very useful. This is a practice mainly employed in plants with a pronounced stem and rosette-shaped succulents. 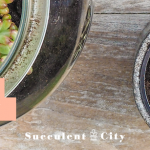 Beheading succulents might take a bit of courage in the beginning, but once you’ve done it, you’ll discover it’s a clever way to multiply your succulents and keeping them gorgeous. Read our potting article in you’re unsure on how to plant these stem stumps. The following genera of succulents will respond well to beheading. Succulents come in different shapes, sizes and colors. Some look like stones, others resemble some animals while others will simply blow your mind away with their beauty. With their great variety, they make the best aesthetics for the living room or office. (I can assure you, it keeps our office vibrant). However, your beautiful succulent plant may begin to change its appearance due to a number of reasons. If you notice your succulent growing thin, tall and looking stretched, then etiolation is taking root. You may also note that the plant looks paler than its usual color. Or it may be a worse case, see why your succulents might be dying. With their great variety, they make the best aesthetics for the living room or office. (We can’t get enough of these modern planters). However, your beautiful plant may begin to change its appearance due to a number of reasons. If you notice your succulent growing thin, tall and looking stretched, then etiolation is taking root. You may also note that the plant looks paler than its usual color. An etiolated plant is one which has been grown in insufficient light resulting to pale color, thin or stretched appearance. Light is an important component for photosynthesis to take place. Photosynthesis ensures the plant has enough carbohydrates or food for its growth and to perform basic metabolism. This explains why a succulent or any plant in general becomes weak and pale when there is insufficient light. Since plants cannot survive in insufficient light, they’ll sort of “move” and use mechanisms to get light. How do you tell if your succulent isn’t receiving enough light? There are four sure fire signs of detecting etiolation in your succulents. When detected early enough, it can be corrected. The lower leaves will begin to point downwards. This is the earliest sign that your succulents are craving for light. This mechanism attempts to expose the surface area of each leaf to any available light, thus increasing the plant’s ability to photosynthesize. A succulent with droopy leaves doesn’t look attractive. Once you notice this, quickly move the plant to a well-lit area preferably near a large window. The plant bends to a particular direction. It will detect where the most available light is coming from and bend towards that direction. This bending is dangerous and may lead to breaking of the stem depending on the weight of the leaves. An elongated stem with scanty leaves. This shows that the stem is growing at a quicker rate than the formation of new leaves. This results to larger stem internodes. Stem elongation is also a mechanism to provide more light to the leaves for photosynthesis to take place. This lack of leaf compaction on the stem leads to an ugly, stretched plant, quite the opposite of what beautiful really is. 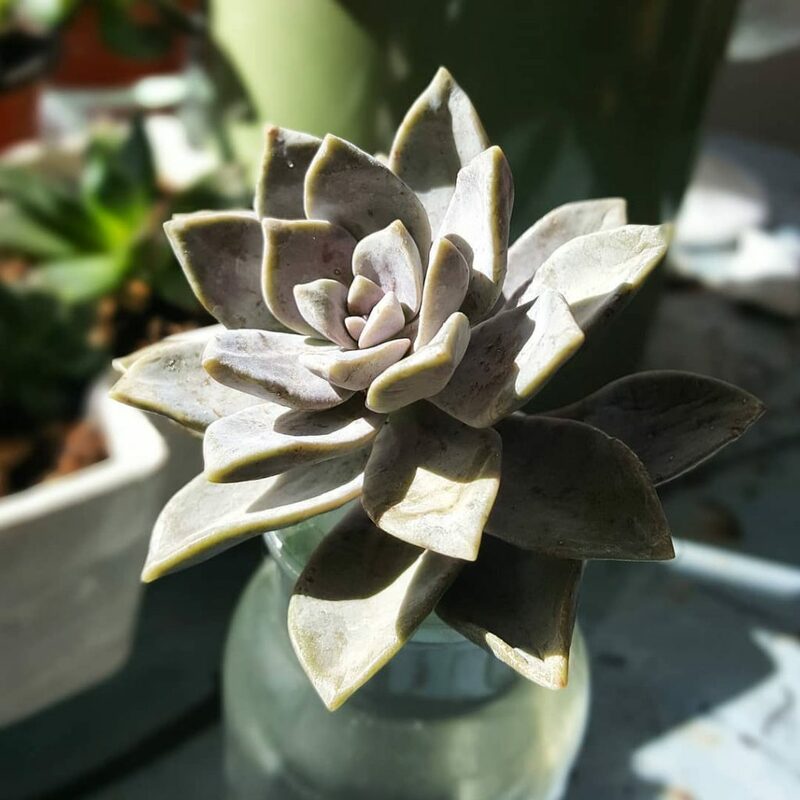 Though rare, pale color may also be a sign that your succulents are devoid of light. The pale color is due to the plant’s inability to form chlorophyll – the stuff that gives leaves their green color. As earlier indicated, etiolation can be corrected in its early stages. This is by exposing the plants to bright light for a minimum of four hours per day. However, bent and stretched plants can never be corrected, sadly. Beheading is a solution to save ugly, bent and stretched plants. Chopping off the crown of your etiolated succulent and then replanting it ensures you end up with a vigorous and beautiful succulent plant. The quickest way to the grave for your succulents is when they can’t take up water and nutrients due to rotting roots and stems. The main culprit for root or stem decay is overwatering although cold weather may also be a factor. A succulent with a rotting stem or root can be salvaged by beheading. The beheaded crown is replanted while the rest of the plant containing the rotting parts is discarded. 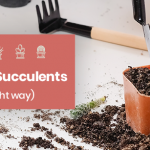 Don’t drown or deprive your succulent with the right amount of water, read our full in-depth guide about when you should water your succulents in order to properly care for them. The third reason for beheading your succulent is for propagation purposes. This is simply multiplying your plants through stem or leaf cuttings. Scientists call it asexual reproduction. Unlike leaf cutting, propagation by stem cutting or beheading is quicker and has a higher success rate. Not sure what is the best method? 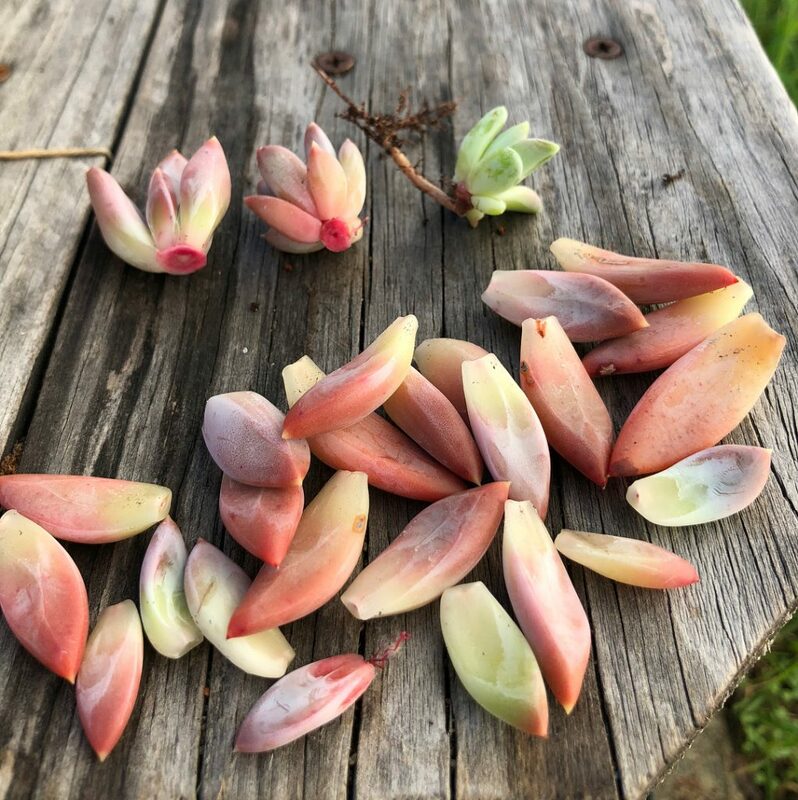 We have a propagation guide shared by over 2000 succulent lovers, how to propagate your succulents successfully. Beheading results in two plant parts: the crown and the stem. Both are used in propagation. The crown is replanted in a separate pot containing well-draining soil and in a few days, it takes roots and becomes established. The stump is also replanted and in a few weeks, new baby plants begin to grow from its sides Once the baby plants become bigger, carefully snip them off with a sterile knife and plant them individually. 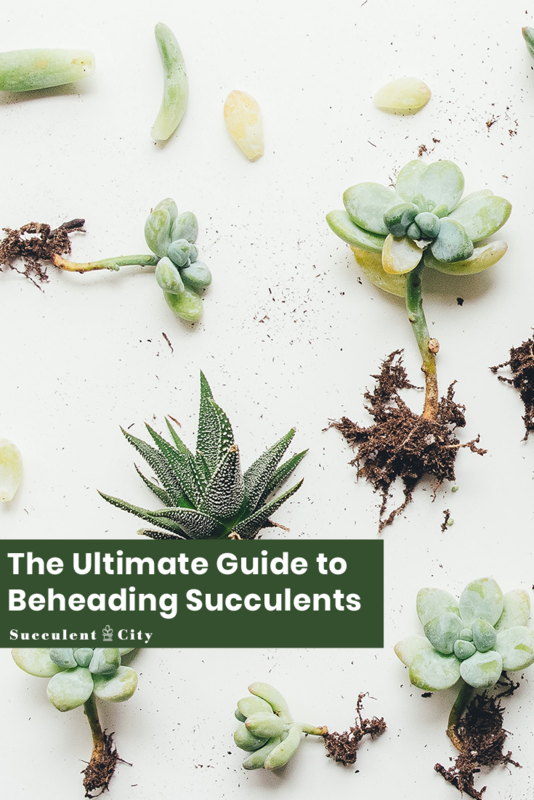 What is the Best Time to Behead Succulents? Timing is crucial when it comes to beheading succulents. The best time to carry out this exercise is during spring, just after winter. The reason for this is that at this time, your plants are out of their dormant state and are now starting to grow. 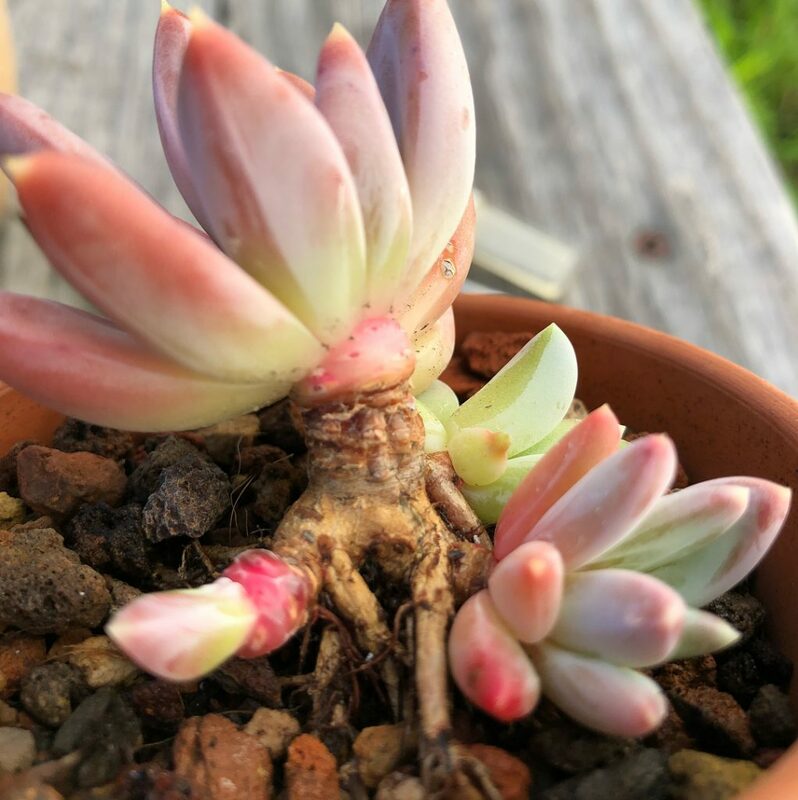 In such a state, your succulents will develop resilience to beheading and they’ll also be less susceptible to pests or shock. Beheading is always followed by growth, so avoid beheading your plants during winter months as this is their dormancy period. If you’re confused on what season a succulent plant is dormant, learn more about winter and summer succulents here. A trowel (Here’s an awesome 3 piece kit). Step 1: Ensure you have a sharp and sterilized cutting tool. This could be a pair of scissors, shears or just a knife. 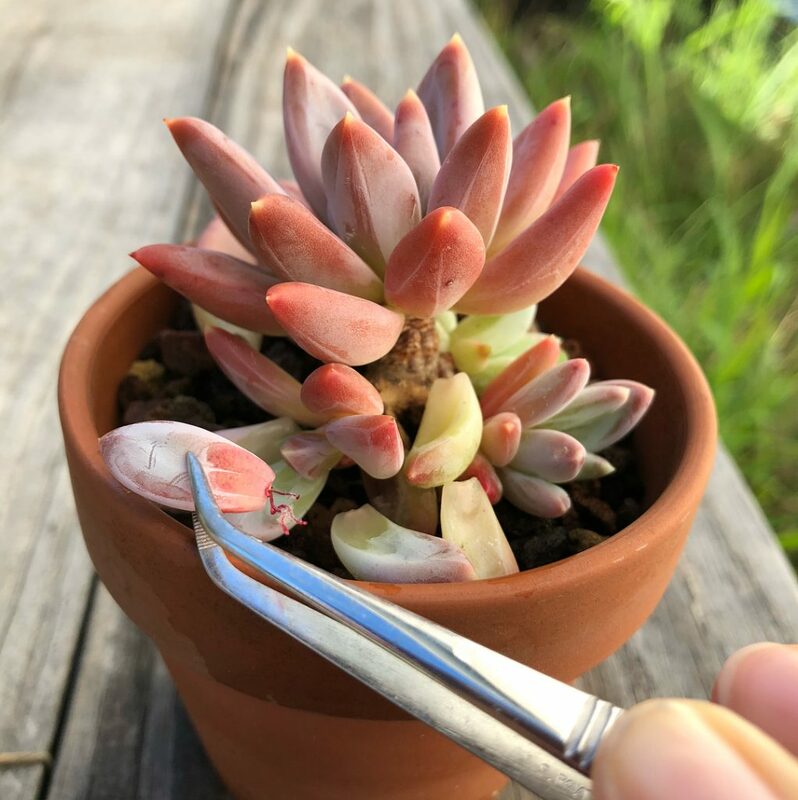 You want it sharp because a blunt tool will crush the succulent making it harder for the plant to heal and develop roots. A sharp cutting tool results in a clean, precise cut that heals quickly and roots effectively. Sterilization prevents introduction of bacteria or fungi in the freshly cut wound of your succulent. You can quickly sterilize your tool with isopropyl alcohol. You can behead the plant while it’s still in the soil or you can pluck it out to get the right spot. Strip all the dead, dried leaves from the lower part of the stem. Step 2: Decide on how much to cut off. Leaving an inch or two from the crown ensures that the plant will remain steady while planted and that it’ll also provide enough room for new roots to grow. Avoid jagged and diagonal cuts. Let the cut be precisely perpendicular to the stem. In case you mess up, don’t be shy to try a little higher on the stem. Step 3: Congratulations! You just beheaded your first plant. Now leave the cuttings to dry and callous before you plant them. This is to avoid rot and bacterial infection on the freshly cut wound. Place them in a dry area with indirect sunlight and wait a week. Step 4: Now it’s time to replant the cuttings. Stack some grainy soil in a pot and stick the beheaded crown in the soil. You can leave the stump as it is or replant it in a new soil. Step 5: Place them in an area that’s shaded, away from direct sunlight. At this point, you might be tempted to water it, please don’t. That’s a recipe for failure. The beheaded top doesn’t need water right now for two reasons; one, it has enough water stored in its leaves and two, it has not yet developed any roots to take up water from the soil. 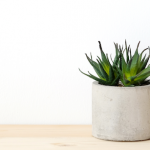 Watering your plant immediately after planting your beheaded succulents is not only unnecessary, but also dangerous as it may result in plant rot. You may be wondering… so how will you know when to start watering your plants? The simple answer is either, as soon as roots form or when the stored water in the leaves is depleted. To check whether the roots have formed, gently tug the plant and check for resistance. Give it at least three weeks before you tug it. To find out whether your plant has depleted its water reserves, simply check for signs of wrinkling. The amount of time taken for your plant to drain out its water storage will most likely be equal to the time taken for rooting to take place. Once you notice any of these signs, then start watering your plant like any other succulent. Give it a good drench and wait for the soil to dry out before doing so again. After the plant is established, gradually introduce it to direct sunlight but be careful not to subject it to sunburn. (Yes, even succulents get sun burn). It will take between 4 to 6 weeks for the stump to develop baby plants as well as the beheaded top to be well rooted. There you have it! How to behead succulents the right way, that wasn’t so scary was it? 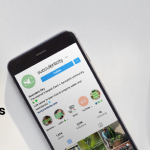 Let us know how your succulents are growing after beheading here on our exclusive facebook group, Succulent City Plant Lounge. Vous devriez mettre un traducteur dans votre dire. Les Francais ne sont pas doués en anglais.